Welcome to the 1st [CarCrazedFool] photo contest! 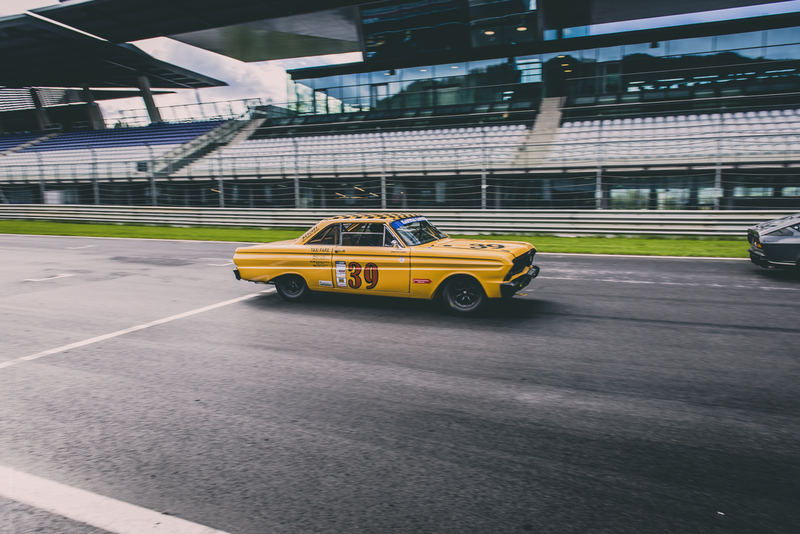 Here at [CarCrazedFool] we’re passionate about cars, but we also love photographs of cars. Getting the perfect shot means that passion can be shared with other petrol heads. Share the octane fuelled obsession! It’s a chance for readers to show off their ride pic, their best car spot snap or their favourite automotive photo. 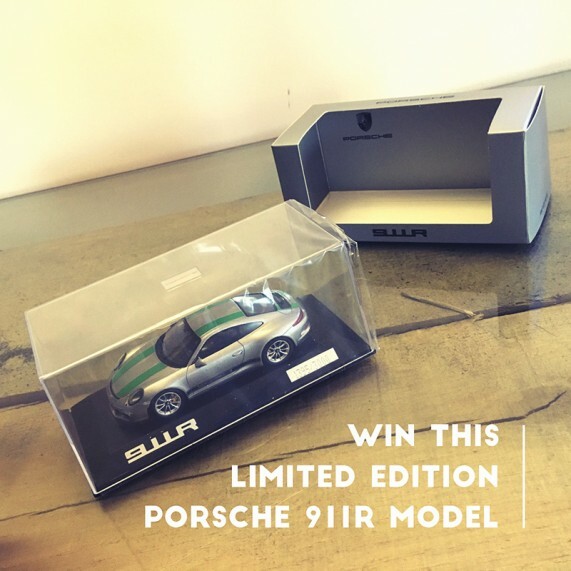 The photo with the most ‘votes‘ will win an epic ‘Limited Edition Porsche 911R’ model (only 3000 worldwide) donated by the legendary team at Porsche Centre Colchester. All you have to do is upload your photo using the tab above, then readers can then vote on their favourite photos! Entrants can upload a photo during April. Voting will be open from the 1st April – 7th May 2016. THE PHOTO WITH THE MOST VOTES WINS! You’re allowed to ‘share’ to get your friends to help. Get posting. GOOD LUCK! The [CarCrazedFool] Photo Contest Rules. 1st April – 7th May 2016. 1. This competition is open to anyone that reads [CarCrazedFool] and subscribes (‘likes’) the Car Crazed Fool Facebook page. 2. All information detailing how to enter this competition forms part of these terms and conditions. It is a condition of entry that all rules are accepted as final and that the competitor agrees to abide by these rules. The decision of [CarCrazedFool] is final and no correspondence will be entered into. Submission of an entry will be taken to mean acceptance of these terms and conditions. 3. Entries should be uploaded via www.carcrazedfool.com. Entries must be labelled with the entrant’s name and image files must be 72 dpi and between 100k and 3MB. Entrants should include their email, this will be used for contact to arrange shipping should they win. We regret that we are unable to accept postal entries. 4. All entries must be received by the advertised closing time and date. Entries will be accepted between 00:00 1st April 2016 – 23:59 31st April 2016. Voting will continue for an additional 7 days. The winner will be judges, by number of votes, at midnight 7th May 2016. 5. All images submitted must be the work of the individual submitting them and must not have been published elsewhere or have won a prize in any other photographic competition. It is the responsibility of each entrant to ensure that any images they submit have been taken with the permission of the subject and do not infringe the copyright of any third party or any laws. Entrants must warrant that the photograph they are submitting is their own work and that they own the copyright for it. 6. Copyright in all images submitted for this competition remains with the respective entrants. However, in consideration of their providing the Competition, each entrant grants a worldwide, irrevocable, perpetual licence to [CarCrazedFool] to feature any or all of the submitted images on their website, social media and/or in any promotional material connected to this competition. Credit to the original photographer will always be given. 7. The winning entry will the photo with the most votes on the [CarCrazedFool] website. The winner will be notified within seven days of the closing date of the competition (midnight on the 7th May, 2016). 8. One entrant will receive a limited edition (no. 1395/3000) Porsche 911R model, provided by Porsche Centre Colchester. 9. All prizes are non transferable and there are no cash alternatives. 10. Events may occur that render the competition itself or the awarding of the prizes impossible due to reasons beyond the control of [CarCrazedFool] and accordingly the [CarCrazedFool] may at its absolute discretion vary or amend the competition and the entrant agrees that no liability shall attach to the [CarCrazedFool] as a result thereof. 11. English law applies and the exclusive jurisdiction of the English Courts shall prevail. 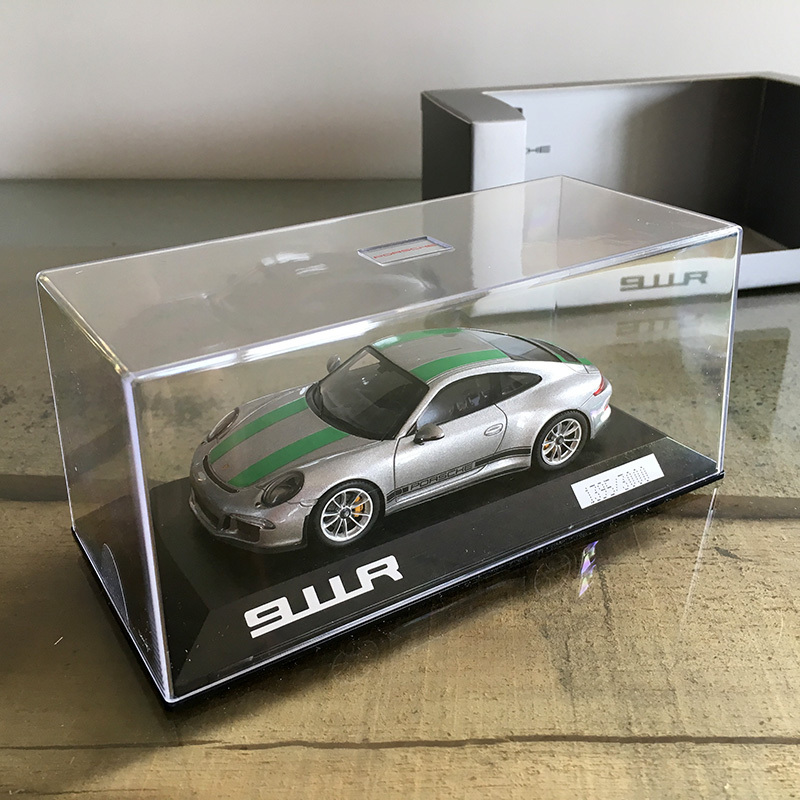 This awesome, limited edition, Porsche 911R 1:43 model is up for grabs. Made by Spark for Porsche this accurate, high quality model, has been limited to just 3000 units worldwide. It’s a true chance to get hold of a very exclusive model! Almost as rare as the real thing! With a solid nod to the original 1967 Porsche 911R, the 2016 version is a rebirth of a legend. Read more here.